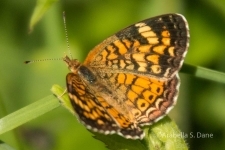 I am just back from Mission TX where I was chasing butterflies with the National Butterfly Association along the Lower Rio Grande and wish to share with you information about Trump's border wall.. The border wall is scheduled to be constructed thru the Lower Rio Grande Area with the contracts having been awarded and the construction to begin February 2019. My concern is that the current plan for building the wall is not going to solve the immigration problem and will do irreparable damage to the communities and the ecosystems in its path. 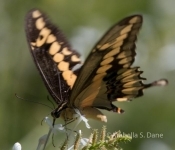 Among the wildlife-critical areas, sensitive natural areas and private conservation areas along the Lower Rio Grande threatened by this construction, the major part (70 of 100 acres) of the National Butterfly Center in Mission TX will be in its path. 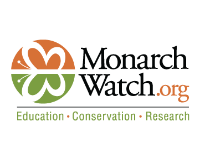 The 70-acre piece being taken from the National Butterfly Center by the border wall is primarily scrub-land habitat planted with pollinator friendly plants. 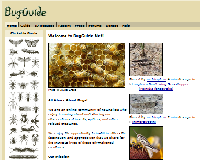 The NBC is the largest native plant/pollinator botanic garden in the USA. As it is located adjacent to the Rio Grande river, it will be clear cut and bulldozed to give border protection clear sight lines from the border wall to the river. 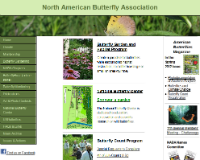 Here is the link to the National Butterfly Association’s Center’s web site . The taking of private property is allowed to happen as all Federal State and environmental laws may be set aside in the name of national security because of a clause in the law. The Sierra Club recommends that we write to our Representatives and Senators asking them to “repeal Section 102 of the REAL ID Act”. 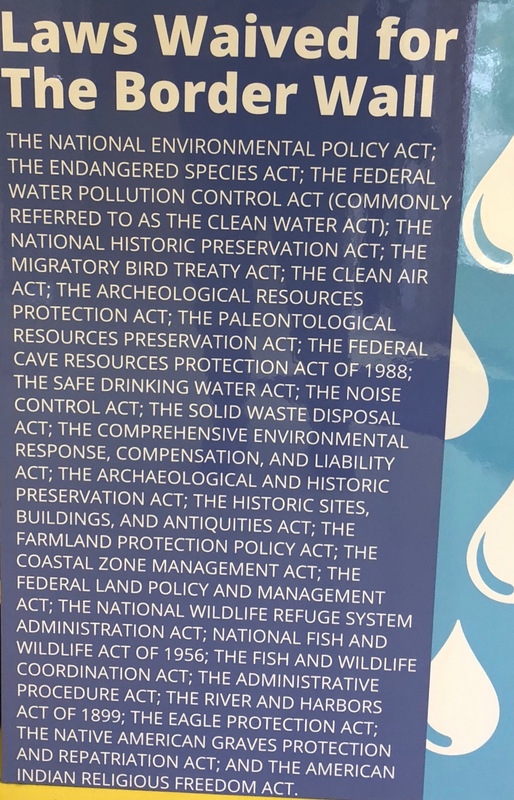 Here is a photo of the list of laws that are being ignored by the wall construction. This list is displayed in the lobby of the National Butterfly Center’s lobby. I took a ride on the Rio Grande in a small tour boat going up towards the Falcon Dam and was surprised at how small the Rio Grande is. It is no wider than the parking areas of many Walmart stores. Here is a photo from the dock where we boarded our tour boat looking across the river to the MX side as a gunboat went by. 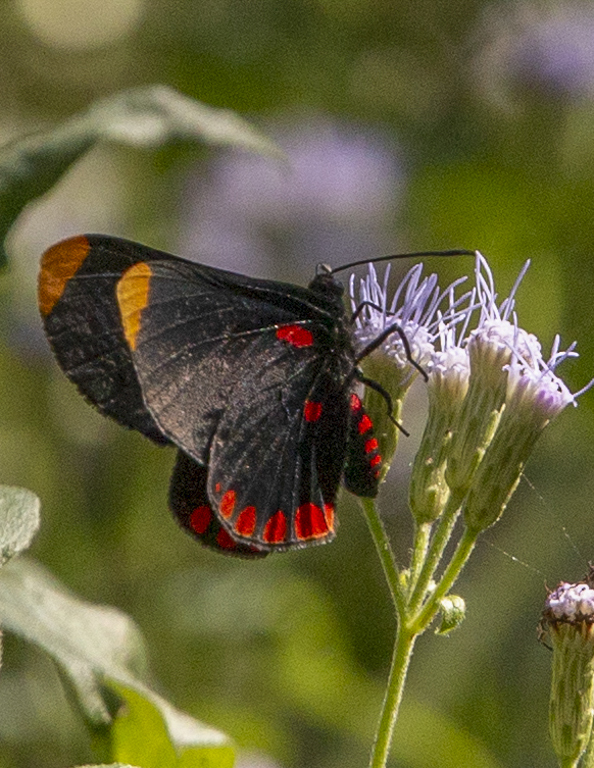 500 of the 750 North American butterflies come thru this Lower Rio Grande area going back and forth across the border heading north and south as the plants they require come into bloom - nectaring and pollinating as they go. 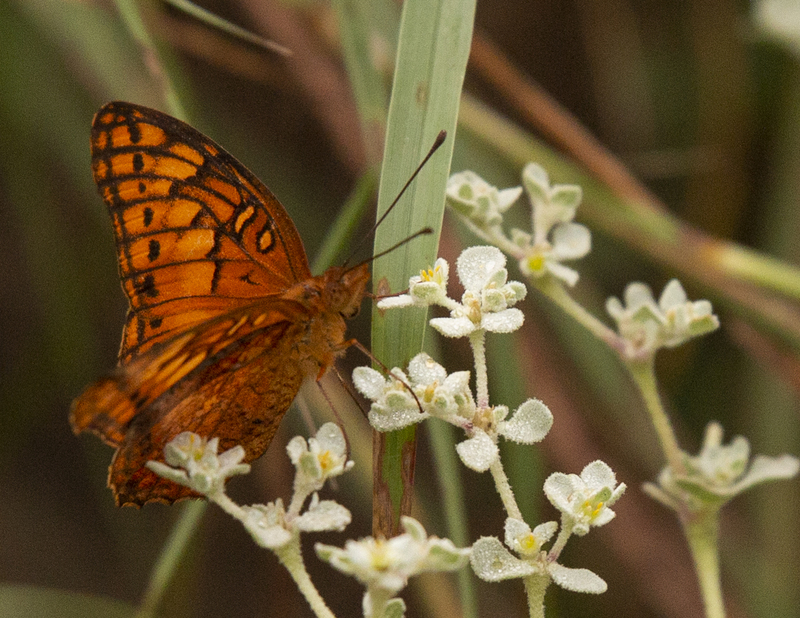 During the three days of the Butterfly festival, our van-load of 8 butterfly-ers and the other vans of similar size - saw at least 153 different butterfly species while tramping thru several of the many varied habitats that exist along the lower Rio Grande. The sites we visited included an urban site in Roma, an excursion into the Yturrita thickets, and a walk through the very saline marshy area in Boca Chica where the river meets the sea. 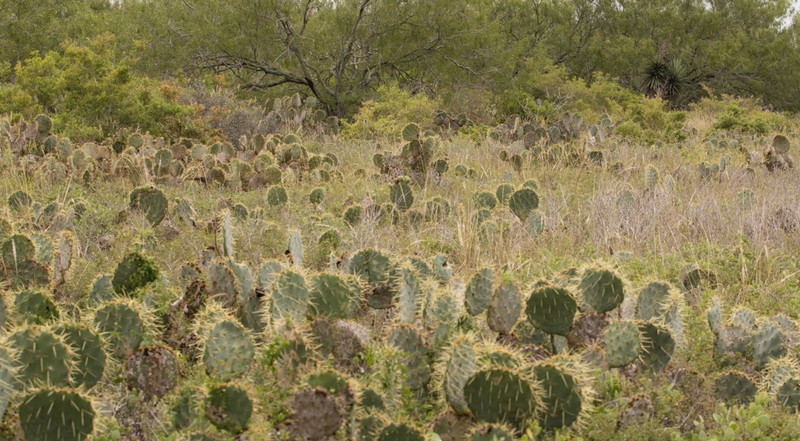 Here is a shot of the upland habitat in the Boca Chica area. 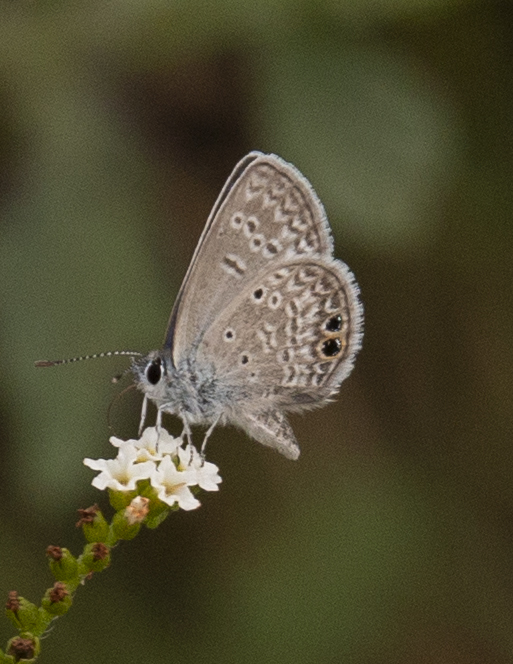 Here are some of the butterflies we “met” on our adventures. This document covers most of the Lower Rio Grande’s rare and endangered species: https://pubs.usgs.gov/sir/2016/5078/sir20165078.pdf. Pages 24-25 list you will find the at-risk plants of the Lower Rio Grande. This list. 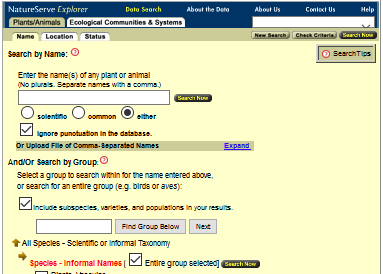 includes the Federally Endangered plants, the G1-G2 plants (globally at risk) as well as those that are on the TX state list as being rare and endangered. The Lower Rio Grande is the major stopping point for the seasonally migrating birds on their way to and from Mexico, Central and South America. Much work has been done to enhance the habitat in the Lower Rio Grande for this vital stopping point for these migratory land and aquatic migrants. While we were chasing “our” butterflies, the birders in our group were thrilled to see a Roadside Hawk, the Varied Thrush, several unusual fly catchers, and a pair of Altamira Orioles.